Part of determining if Apple stock is a buy is assessing how well its newest piece of hardware – the Apple Watch – is doing one year after its launch. Last April the much-anticipated Apple Watch went on sale to elevated expectations. At the time, sentiment on AAPL stock was riding high. The Apple stock price had soared 70% over the previous 12 months. Larger screen sizes of the iPhone 6 models kicked iPhone sales into overdrive. The Apple Watch was expected to follow the iPod, the iPhone, and the iPad as Apple Inc.'s (Nasdaq: AAPL) next blockbuster product. But criticism of the Watch started even before it launched. And in the year since, analysts and tech pundits alike have turned up the heat. The negative outlook for the Watch has combined with concerns about slowing iPhone sales growth to push Apple stock down about 13% over the past year. While Apple has not released sales figures for the Watch, analysts have consistently claimed that the device is missing estimates. How the Apple Watch Got Tagged as a "Flop"
Research firm IDC released numbers in February that showed the Apple Watch steadily losing market share from its launch through the December quarter. Apple slipped from a 20.2% share in Q2, to an 18.6% share in Q3, to a 15% share in Q4. Few analysts see the situation getting better, and many see it getting worse. Just this week, KGI Securities analyst Ming-Chi Kuo projected that Apple Watch sales will fall 25% in 2016 to 7.5 million units, from the 10.6 million sold in 2015. Apple Watch news like that has resulted in a lot of stories declaring the Apple Watch a "flop." The problem for investors is figuring out how much weight to give to these reports when trying to answer the question, "Is Apple stock a buy?" After all, without hard numbers from Apple, it's difficult to be sure how well the Apple Watch is doing. And even if the device is falling short of expectations, those expectations were invented by the analysts themselves, not Apple. In other words, this is far from an exact science. A couple of weeks before the glum IDC report on Watch sales, Canalys suggested that Apple had sold 12 million Watches in 2015 and snagged two-thirds of the smartwatch market. Even IDC agrees that Apple has quickly become the top dog in the smartwatch market. In a report last month, IDC said Apple would dominate the smartwatch market with sales of 14 million units and a market share of 49.4%. And in 2020, Apple will sell 31 million Watches. 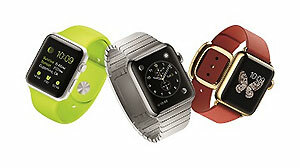 Dominated by tech press and industry insiders, 53% said they did not consider the Watch a successful product. In the very same survey, 77% of those who actually owned an Apple Watch do consider the product a success – and two-thirds said they planned to upgrade to the next version when it comes out. First, the Apple Watch is still a new product. It's too early to call it a success or failure, no matter what the analysts are saying. The Watch is an entirely new platform, and may well have applications no one has though of yet. The verdict on the Apple Watch is at least one year away, if not more. Second, most of the expectations not being met are those of the analysts and tech punditry. No one knows what Apple's expectations for the Watch were, or whether the product is meeting them. Third, the Apple Watch was never going to replace the iPhone as Apple's growth engine – no single product is ever likely to see that kind of success again. Instead, the Watch needs to be viewed as one component of a broader strategy to expand the Apple ecosystem, amplify customer loyalty, and derive a greater portion of revenue from services (Apple Pay, iCloud, Apple Music, etc.) as opposed to device sales. So when speculative Apple news stories are swirling around the media – either good or bad – Apple stock investors need to take a step back and avoid getting swept up in the negative sentiment. Instead, investors should study the company's real numbers. And we're due for a fresh batch of those on April 25, when Apple reports earnings. Be sure to check Money Morning for those results, and what they'll mean for Apple stock.